The people at Ttarp are the strength behind the equipment delivered to you. They bring a wealth of experience to every project, and it shows in their attention to detail and deep commitment to customer satisfaction. A Ttarp machine is often called a “workhorse.” Ttarp employees work hard and smart to make sure your equipment lives up to these high standards. 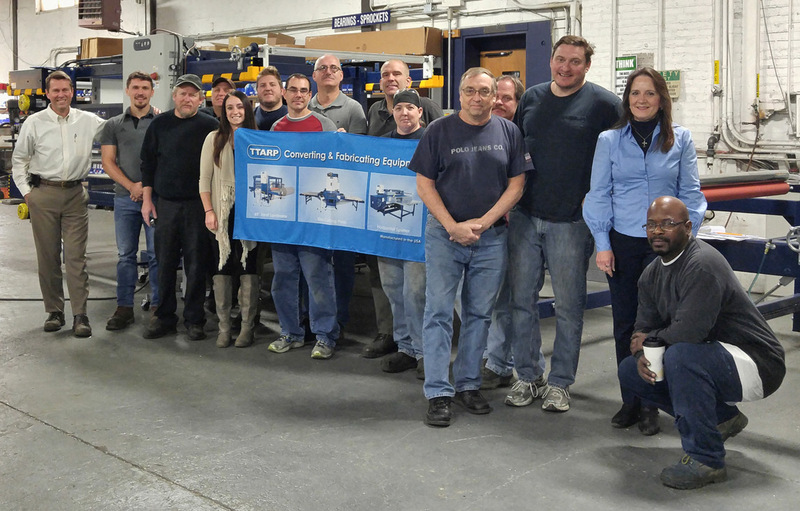 LinkedIn Profile for Joe McNamara, President of Ttarp Co.
Ttarp Co. is located in Buffalo, New York, and has been designing converting equipment for 35+ years. A significant number of our customers are flexible foam, rubber, pressure-sensitive adhesive, felt, and plastic corrugated converters. Ttarp equipment is designed for converters serving the appliance, automotive, electronic, medical, and other industries. It is used to fabricate gaskets, packaging, and sound and heat attenuation OEM parts with low-to-medium density materials. Ttarp machinery is designed for speed, productivity, and maintainability. Providing a good ROI to our customers is important to us. We strive to continuously improve in our technical support and customer service. When we fall below our expectations, we own up to it, examine our shortfall, and try to put a solution in place to prevent it from happening again. We welcome your feedback on how we can improve. Ttarp Co. was honored as a 2016 winner of the Small Business Awards for companies that best exemplify entrepreneurial spirit. Citing 25% average growth during the past three years, Ttarp has been expanding into new markets in the converting industry. For example, while Ttarp equipment produces components that go into nearly every major auto brand worldwide, the company’s lamination systems now play a role in the process that buffers Intel chips and “Guerilla” glass in Apple iPads. Due to our continuous product improvement program, specifications and options are subject to change without notice. Copyright © Ttarp Co. All rights reserved.